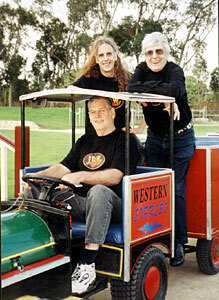 LAURIE ALLEN carved his place in Australian musical history through many incarnations, particularly as half of Bobby & Laurie. L.B.W. saw him teamed with mates Bernie O'Brien and Warren Keats and here they romp through Laurie's Buck Owens inspired tune on triple harmony guitars. Laurie also played the piano solo, and Warren the bass and drums. Sadly, Laurie left this world far too early. Engineered by Warren Keats and produced by L.B.W. Warren Keats- Lead Guitar (3rd harmony), acoustic guitar, bass, drums. The Laurie in Bobby & Laurie has gone. Laurie Allen collapsed after a heart attack and died soon after in a Melbourne hospital on June 13, 2002. Bobby & Laurie defined the fun and innocent sound of Australia beat music in the mid 1960s with an initial frenetic burst of four hit singles. The foot stomping I Belong With You set the scene and raced to number two on the charts. Bobby & Laurie were all over our television screens on the Melbourne produced GO!! Show. They were our own mane-shaking irreverent pop stars. On the heels of the announcement of the forthcoming multi artist Long Way To The Top live spectaculars, it is worth noting that only a handful could claim to be as big as Bobby & Laurie at that time. In fact they got bigger. In 1966 signing to Alberts, the home of The Easybeats and Billy Thorpe they hit the top of the charts with the country song Hitchhiker and were given their own ABC-TV show It's A Gas, soon retitled Dig We Must. Despite the hip trappings the 'young adult' format actually constrained the wild appeal of the duo. Side projects for each followed until a final hit in 1969 with another country song, Porter Wagoner's Carroll County Accident. The country direction of the latter singles pointed the way for Laurie, the harmony singer of the duo, to follow as an entertainer. He had already flirted with a more rhythm and blues sound in The Laurie Allen Revue, using some of the duo's original backing band The Rondells (including Wayne Duncan on bass and Gary Young on drums ­ both soon to find fame in Daddy Cool). Also in the Revue were the Hewett sisters Colleen and Glenys (originally called The Creations). Colleen cites Laurie as her biggest early influence and she was frequently brought to centre stage by the leader during the group's two year, three single run. 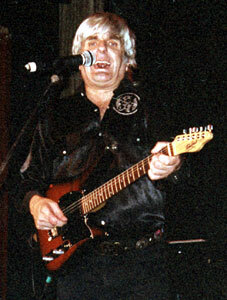 Laurie's two solo albums in the 1970s were all out country affairs and he also collaborated with Lionel Rose for the champion boxer turned singer's most credible effort, the album Jackson's Track. That under appreciated Allen composed song would later turn up on Laurie's last solo album in the early 1990s, Me 'n' Jack Daniels, a title that said a lot about the man and his legendary dietary habits. Many friends believed he lived on bourbon, chips and coke. Dividing his time between Sydney and Melbourne the past 20 years, he continued to perform with old sparring partner Bobby Bright whenever the occasion seemed right, even appearing on television ads for a furniture company in the mid '90s. The duo also continued to record, including an adventurous but little distributed album at the tail end of the '90s, made largely for their own enjoyment. Encapsulating the exuberance and fun of the Australian pop music scene in the swinging '60s is a fine legacy to leave as one half of the biggest duo of the era leaves this life. Laurie Allen was more than that, however, a sweet soul and a contributor throughout his life to the illustrious musical history we now find we have. He knew it was a long way to the top because he had been there. Check our LINKS page for more on L.B.W.